WELCOME TO ELITISM6.COM: IMSU Weekend Report: CD block, others mapped for Demolition, magnificent edifice set to replace them. 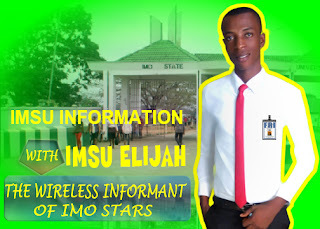 IMSU Weekend Report: CD block, others mapped for Demolition, magnificent edifice set to replace them. Despite the lingering ASUU and NASU strike, major infrastructural upgrade is ongoing in the campus. The latest is the demolition of CD block and replacement with a gigantic edifice. Work will commence in the site in two weeks.